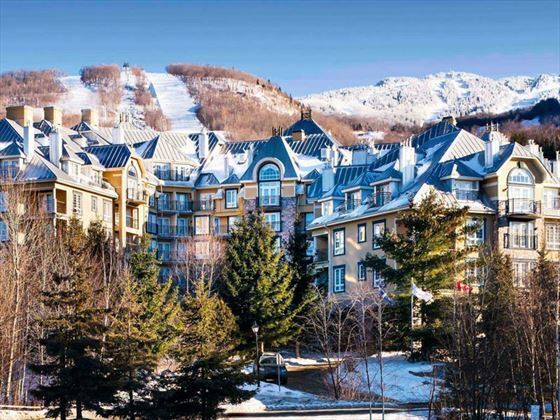 Nestled between the village and Mont Tremblant, the Westin allows visitors to be just steps away from snow-covered slopes in the winter for skiing, and fabulous hiking and mountain biking in the warmer months. 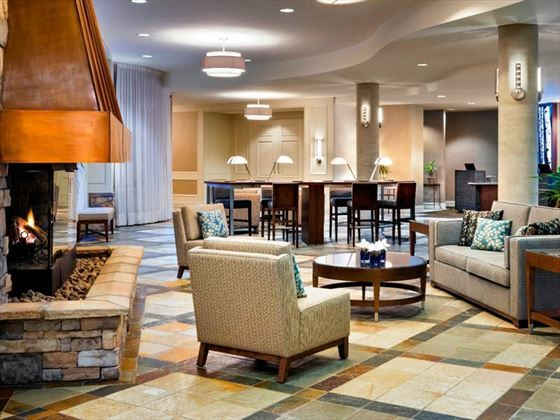 Beyond its idyllic location, the property offers a slew of amenities onsite for business and casual travelers alike. 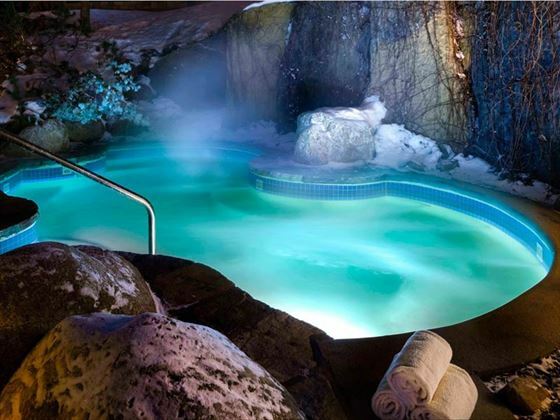 With free Wi-Fi you can stay connected to friends, family and clients, as well as take advantage of ski-in/ski-out access, the opportunity to enjoy the Finnish sauna, a relaxing soak in the outdoor hot tub, or a refreshing swim in the year-round outdoor heated pool. 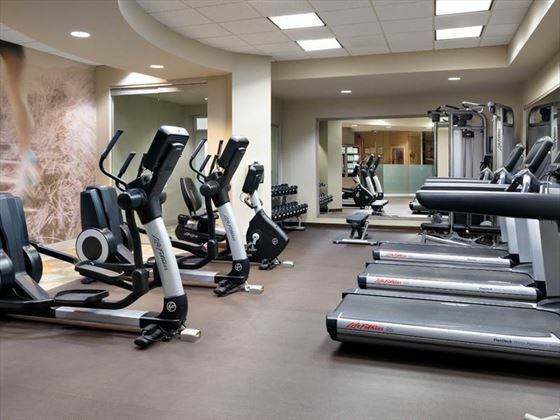 With a fitness room right onsite, you won’t have a problem sticking to your regular workout routine, and the spa offers an ideal spot to indulge in a wealth of reinvigorating treatments, from massage therapy to skin care and body care treatments, or get a manicure and pedicure so that you can show off those beautiful nails. 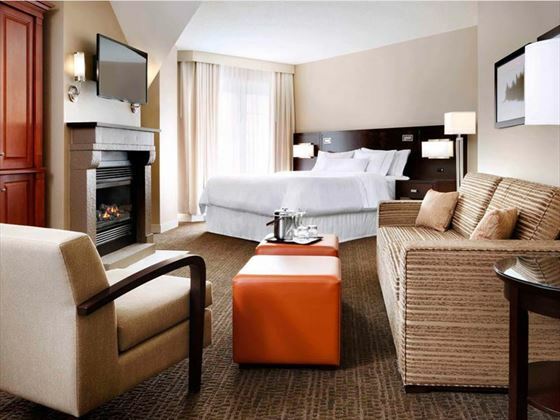 Traditional Queen Room – The approximately 345-square-foot room includes one queen-size bed and all standard amenities. Deluxe King Room – The Deluxe King Room has approximately 450 square feet of space and includes a king-size bed and a sofa bed, along with all standard amenities. 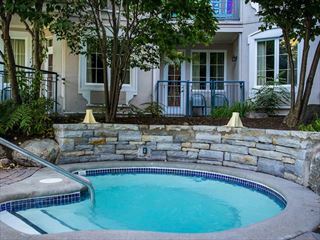 One-Bedroom King Suite – This suite has 575 square feet of space and includes one king-size bed, a sofa bed, a kitchenette with two electric cooking plates and all standard amenities. One-Bedroom 2 Queens Suite – The Two Queens One-Bedroom Suite also has 575 square feet of space and includes two queen-size beds, a sofa bed, a kitchenette with two electric cooking plates and all standard amenities. Two-Bedroom Suite – These 920-square-foot suites include one king- and two queen-size beds and one sofa bed as well as a full kitchen and all standard amenities. 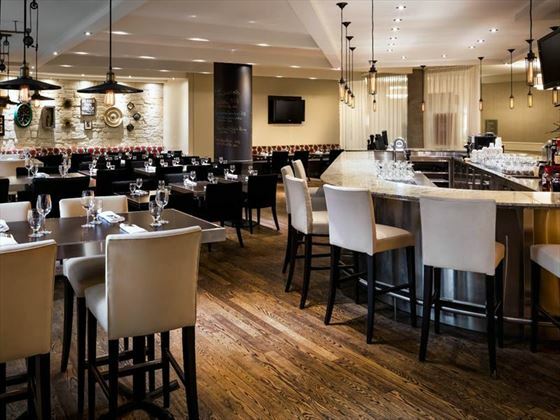 The property hosts Gypsy, a casual Mediterranean-inspired restaurant open for breakfast and dinner. Room service is available Monday through Thursday, 8 a.m. to 11 a.m. and 2 p.m. to 10 p.m., and Friday through Sunday, 8 a. m. to 10 p.m. 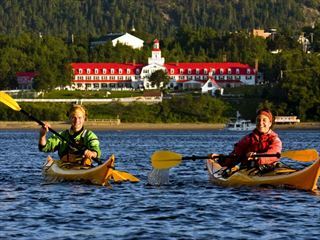 Located in the mountains in Mont-Tremblant Pedestrian Village, the La Westin Resort & Spa is less than a 5-minute walk from the Mont Tremblant Activities Centre and Aquaclub La Source. 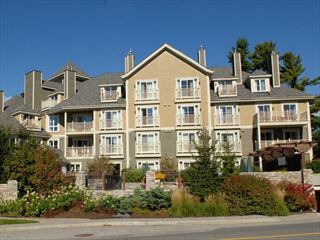 In the heart of the pedestrian village, surrounded by outdoor adventure, the Holiday Inn Express & Suites Tremblant offers comfortable rooms and suites, along with a number of desirable facilities onsite.